Who Owns Centralia PA? 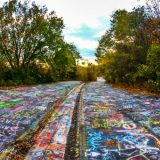 Who Owns Centralia PA? 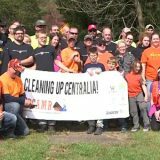 Who owns Centralia PA? In short, the owner is the Commonwealth of Pennsylvania. Before the 1980s, the borough of Centralia was mostly owned by private citizens and organizations. This made it much like any other town or city. However, in 1983, Congress approved $42 million to relocate anyone in the borough who wanted to leave. It was a last ditch solution to the mine fire problem, after the many previous attempts to control it failed. At first, no one was forced to leave Centralia PA. It was entirely voluntary. Once a property owner decided to relocate, the Commonwealth of Pennsylvania would compensate them and, in return, acquire the deed for the parcel. Eventually the structures on these lots were demolished. This created the empty, forested landscape found througout the town today. In 1992, Pennsylvania Governor Robert P. Casey declared eminent domain over the remaining, privately owned properties within Centralia. This was done out of concern for the safety of those living there. The remaining residents were asked to leave and the state forcibly acquired the deeds to their lots. Still, some people stayed, and because they refused to relocate, they didn’t receive any compensation for their property. At this point, the Commonwealth of Pennsylvania owned most of the borough. It did not, however, take control of the Centralia Municipal Building or the Assumption of the Blessed Virgin Mary Church on the hill above the town. Suddenly, those who refused to leave their homes were left in an unusual position. The state owned the deeds to their properties, meaning it was responsible for paying any taxes on their parcels. Additionally, many in the state viewed the remaining residents as squatters, since they no longer owned the homes and had been told to leave. This frustrating situation sparked a number of legal challenges throughout the 1990s and 2000s. 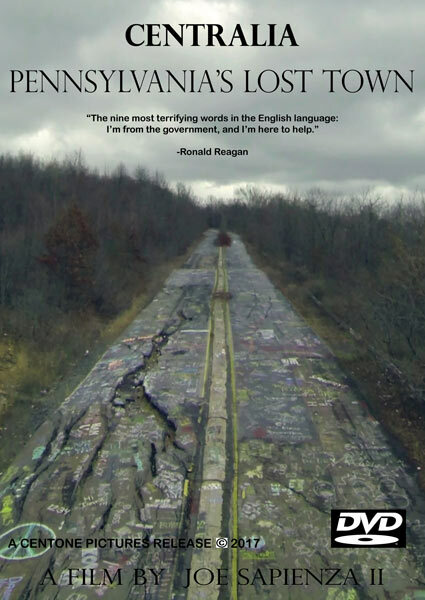 Finally, in 2013 the state reached an agreement with the remaining seven residents of Centralia, Pennsylvania. They would be paid for their properties and could stay there as long as they lived. That said, they could not sell or transfer the land as the state held the deeds. 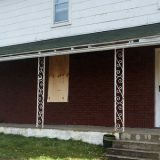 So, while there are still several inhabited homes in Centralia PA, the people who live in them are not the lawful owners. They have been permitted to stay there by the deeded owner – the Commonwealth of Pennsylvania. I just watched the video, “The Town that Was” and googled a follow up on John Lokitis. Why was he forced to leave Centrailia in 2009 and others were allowed to stay there? 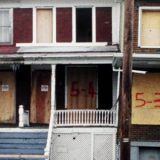 The others were part of a lawsuit to fight the eviction notices the state of Pennsylvania sent to them. They ultimately won the right to stay in their homes until they pass on. However, they technically do not own their properties anymore. They cannot sell them or give them to others. I am the US Correspondent of Germany’s biggest sunday newspaper “Welt am Sonntag”. 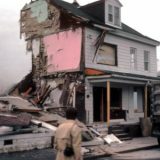 I just came across the story of Centralia and find it astonishing. Many journalists have written about the town before but not in Germany. I therefor think it is a story German readers would like to read. Could you let me know how I can get in touch with you? Please send me an Email and we can take it from there. It’s kind of time sensitive unfortunately as I am leaving for my Christmas holiday by the end of next week. Would be great if you could contact me as soon as you get this. Thank you very much. BARRY ID AS WELL WOULD REALLY BE INTRESTEDTO SEE PICTURES OF THE PAST CAN YOU SEND THEM TO GUTTERMAN454@COMCAST.NET THANK YOU !! I have been here and it is insainly crazy the feeling you get from walking through that town that was once there. My interest was aroused when I read Bill Bryson’s A Walk in the Woods. I wanted to know more about Centralia. Thank you. I too am currently reading Bill Bryson’s A Walk in the Woods. Until reading about it in his book, I was completely unaware that the town existed and googled for information. The history and story of its residents is both amazing and sad at the same time. A very good read. Real intriguing. Can this land be bought back from the state? I’d like to “recycle” the land fund finding a solution to the fire problem!